Gowan Creek is the home of our winery and offers a perfect mid-valley winegrowing location that combines warmer Anderson Valley elements with coastal fog and cooling influences from the northern end of the valley. In 2009, this unique terroir produced a lavish beast of a wine with a lush, round palate and layers of brooding blackberry, dark plum, wild cherry, earth and Asian spice. Intriguing oak-inspired pencil shaving and oatmeal cookie notes add depth and the wine offers great finishing tannins and spice. 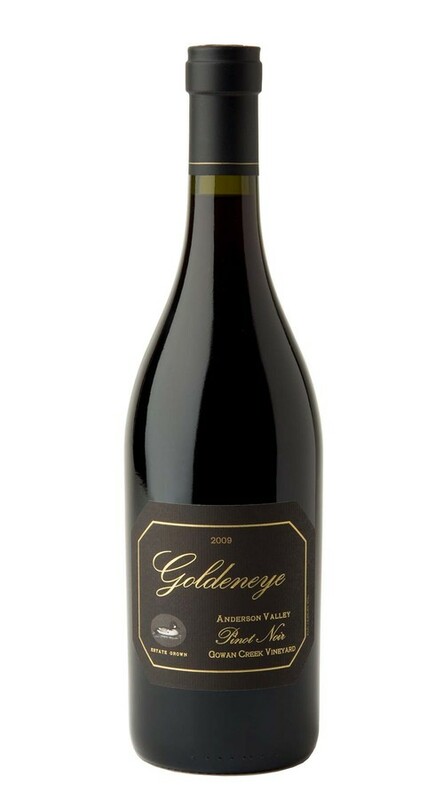 If you like the Goldeneye Pinot Noir from Anderson Valley then you will definitely NOT be disappointed! There's a reason why this is $80.00 a bottle. I've had some exceptional wines but this by far is my favorite of all time! Truly among the Pinot Noir elites. Well balanced and delicious.